The 'Twilight' hunk's managerial team have warned him to calm down his partying antics and focus on his career as they fear he could risk tarnishing his successful name if he doesn't put a stop to his troublesome behaviour. 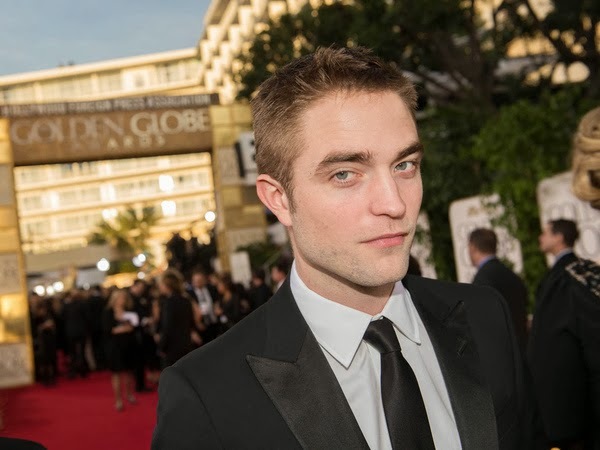 A source told RadarOnline: "Rob's team felt he needed a wake up call [and] that now is the time to get extremely serious about his career, even if that means quitting the womanizing and music making that have defined his life in Los Angeles so far. "They really don't want him throwing this opportunity down the toilet." The 27-year-old actor shot to fame in 2008 after landing the role of Edward Cullen in the romantic fantasy film, but his team are worried he'll sign up to a movie at the end of this year that won't be as successful, and could play havoc with his future career. The source explained: "Rob has to pick his next movie before the end of the year, and frankly, everyone is worried he's going to screw this up. "There's this very strong sense from his team that he needs to find a serious movie, like Brad [Pitt] did with 'Seven' that pulls him out of the cheesecake territory. He can't screw this up!"